I will write one article of 500 words on all topics related to dogs and pets like, dog food, dog health, dog training, pet training and all possible topics. We have many professional writers who can deliver work as per requirements. Our native English speaking writers have huge experience in writing industry to deliver the best work. We are well connected with vets to get details about dogs and other pets for better understanding. All suggestions from clients are welcome! We are open for discussion 24 hrs, feel free to discuss on your topics. For bulk orders I offer huge discounts! 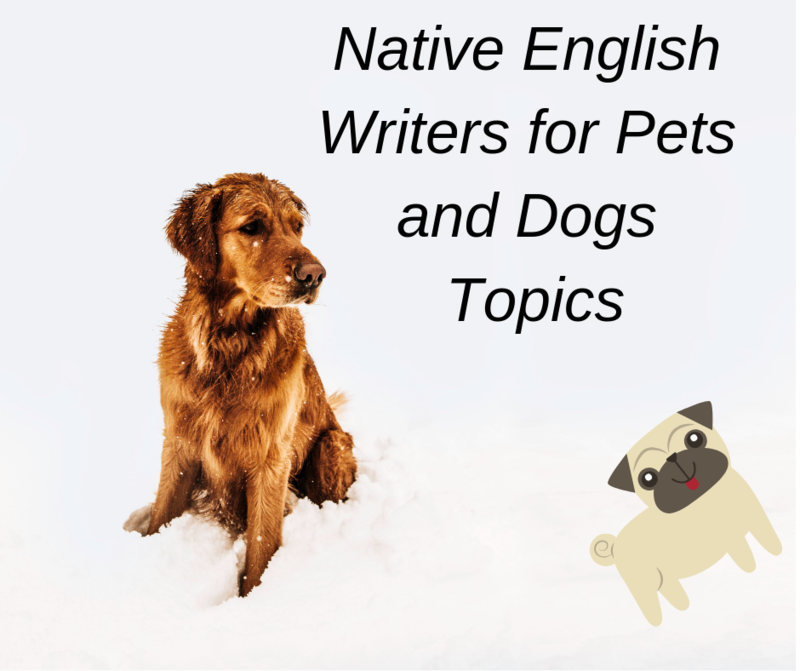 Content writing on topics related to dogs and pets by a native English writer is ranked 5 out of 5. Based on 2 user reviews.